Please be on the lookout for this missing cat. 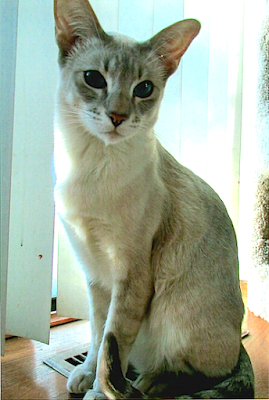 She is a light-colored Lynx Point Siamese with blue eyes and a striped tail and answers to the name Leilani. She comes from Parcel 3 and has never been outdoors. If you can catch her, her owner asks that you do so. Leilani's owner lives at 104 Sayre and can be reached at 609-514-0377.